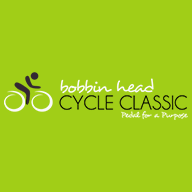 - To promote the use of the bicycle as a healthy, environmentally sustainable means of enhancing accessibility and personal mobility in the community. You can make a tax deductible donation to the Trust and help Bicycle NSW deliver programs and actions to create a better environment for cycling. 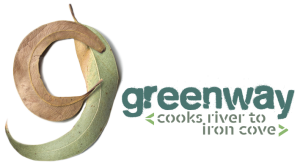 The Bicycle NSW Environmental Trust is managed by a Management Committee. The Bicycle NSW Environmental Trust was established under a Trust Deed which outlines the purpose of the Trust as well as various rules and definitions guiding its purpose. The Management Committee of the Bicycle NSW Environmental Trust is responsible for ensuring that the funds of the Trust are used for the purposes described in the Deed of the Trust. Click here to view the Bicycle NSW Environmental Trust Deed. The Bicycle NSW Environmental Trust helped to fund a 3-year study aimed at understanding cycling patterns, hazards and incidents. Led by researchers at the University of NSW, the Safer Cycling Study (2011) gathered information about cyclist habits with the aim of understanding the most effective methods of safely accommodating all road users. There are clear personal, social and environmental benefits to cycling, and these benefits increase as more people cycle. However, there are also some major barriers to encouraging more people to cycle, such as the real and perceived risks of injury and concerns about an increasing number of cyclists interacting with other road users. 4. Describe the type, location and frequency of environment hazards identified by cyclists, and assess the feasibility of a website in facilitating reporting and rectification. In meeting these aims, the project will provide vital knowledge to inform policy and planning with respect to transport and health, and inform future health and safety promotional campaigns. You can watch a short video about the project via YouTube or read a short article about the findings here. In 2010, the Bicycle NSW Environmental Trust helped to fund the Illawarra Survey of the NSW Coastline Cycleway conducted by the Illawarra Active Transport Taskforce (IATT) who conducted the survey with the assistance of their affiliated Bicycle User Groups (BUGs). 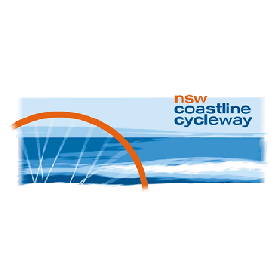 The NSW Coastline Cycleway is a project of the state government that aims to build a complete cycle path between the borders of Queensland and Victoria. As of 2010, around 300km of the 1,400km total length had been built, including sections of off-road shared pedestrian/cycle paths as well as on-road cycle lanes. In the Illawarra, much of the NSW Coastline Cycleway had been completed, but there were a number of missing links and shortfalls such as inadequate signage, route inconsistencies and hazards. The 2010 Illawarra Survey of the NSW Coastline Cycleway identified improvements to the cycleway in order to attract more people to the shared-use path and enable them to follow the path without local knowledge. It was launched to support the ongoing process of improving cycling and walking facilities with the aim of increasing the use of active transport for residents and tourists alike. For the survey, the 70 km route was divided into six sections and participants rode a section each week from north to south. They observed, identified, and documented detailed opportunities for improvement for each section, including issues around wayfinding, shared-use path markings, safety of crossing points, clarity of on-road stencils, sight lines and path width. You can read the results of the NSW Coastline Cycleway 2010 Illawarra Survey here (account required for access). 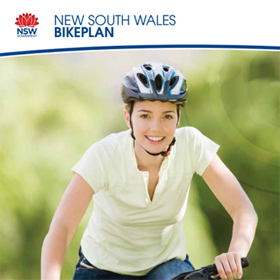 The Bicycle NSW Environmental Trust provided funding in 2011 to help in the delivery of the Helmet Design Artwork Competition, run in partnership with insurance heavyweight NRMA. The winning design (pictured left) was selected from over 10,000 entries received across NSW. Primary school students throughout the state were invited to submit entries using bright colours and creative flair. There were prizes for the winner from each region, and the overall winner had their design used on a limited edition helmet that was sold Australia wide! School-age children are simultaneously the most enthusiastic bicycle users and the most vulnerable. The ‘Helmet Artwork Design Competition’ is an interactive competition which informs students about bike safety by engaging them in a series of educational resources and creative applications. The competition encourages children to learn and understand bicycle safety essentials by asking them to apply them to their own bicycle helmet design. 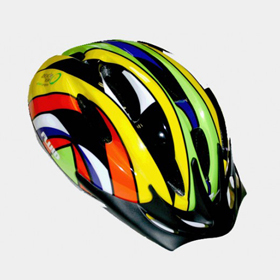 See the results of the 2014 Bicycle Helmet Design competition here on our website. In November 2010, the Bicycle NSW Environmental Trust provided funding to draft a submission regarding the proposed GreenWay shared use path between Dulwich Hill and Lilyfield. The GreenWay shared path has the potential to provide an excellent North-South connection that can be utilized for walking and cycling and to reach the new light rail stops in the area, creating new opportunities for people to explore more extensive areas of Sydney and its waterfronts. Bicycle NSW strongly supported the project which includes the construction or upgrade of underpasses and bridges for people to cross the major roads and heavy rail lines. The submission suggested that an additional crossing is needed over Marion Street: an elevated, rail-grade crossing to enable the continuity of travel for people using the GreenWay. Our submission also expressed concerns about the chosen alignment of the GreenWay in not planning for a connection to cycling routes into the Sydney CBD. As of March 2018, the Greater Sydney Commission has identified the GreenWay as the top priority Green Grid project in the Eastern Sydney District Plan. After a decade of campaigning, $24 million in state and local government funding has been secured to complete the southern section of the GreenWay from Parramatta Road through Lewisham West and Dulwich Hill to the Cooks River. Design and construction of the new 3.2km shared path is commencing in 2018 and is due for completion in 2021. Click here to read the full submission from Bicycle NSW. The Bicycle NSW Environmental Trust provided funding to perform extensive community consultation across the state for the NSW Bike Plan. With the funding provided by the Environmental Trust, Bicycle NSW staff were able to travel throughout the whole of the state to conduct community consultation work. Thank you to everyone who generously donated to the Bicycle NSW Environmental Trust Annual Appeal 2017. We would like to acknowledge these generous donors who have contributed $1,000 or more.